Here is a collectable animal figure from the North Light @ Wade factory. 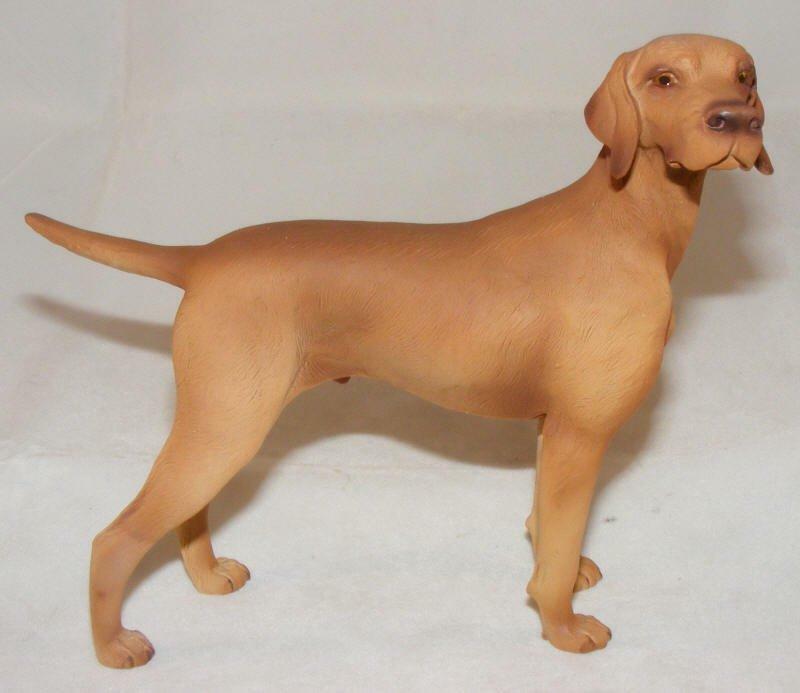 This Hungarian viszla dog measures approximately 16.5 x 16.5 cm (about 6.5 x 6.5 inches) and will appeal to collectors of animal figures everywhere. All my North Light @ Wade animal figures are brand new. If you purchase an item from me, you have the right to cancel the transaction. If you wish to do this, please email me at the latest 7 days after you have received the item. I will give a full refund, but you will be responsible for the cost of returning the item to me. The North Light @ Wade Premier Dog Collection boasts an extensive range of dog breeds from Airedales to Whippets. Each figure has been designed and sculpted following thorough study and measurement of the living animal to ensure a true-to-life representation of muscle, form, colour and natural movement. Every figure is carefully moulded, cast, fettled and hand painted to create a unique piece of artwork worthy of the most prominent display space.